Small children don’t belong in a war zone. 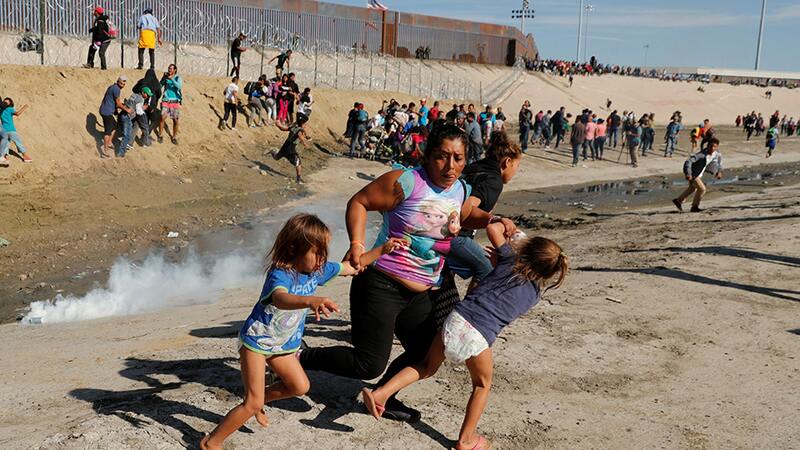 Why would anyone bring little kids along to invade another country, which is an act of war? To create a photo op, of course. The entire caravan phenomenon has been staged from the beginning as an assault by leftists on America’s status as a sovereign nation. The staging may be even more contrived than we realized. Check out the hi-res photo here. Give it a look and see how many reasons you can find to doubt its authenticity. This war zone doubles as a studio. Looks like leftists have learned from the shenanigans in Pallywood. Regardless of whether this particular picture was literally staged, the whole operation is sloppy and overly obvious. But it doesn’t take much to dupe fools, as anyone in the news media might privately tell you. Hat tip: The Irishman, The Daily Wire, The Western Journal.